The last two responses are the most important because what they show is that the Trump Administration is not about to cave to the kind of junk science and emotional greenmail which has held so many Western governments in thrall for the last four decades. But the response that is most damning is probably the one from Roger Pielke Jr.
One way to ensure robust assessments is to invite in critical voices, rather than exclude them. This error was easily preventable. So his views can’t be dismissed, as some of the above inevitably will be, as just the kind of anti-science, Big-Oil-funded propaganda you’d expect from evil Republicans. Pielke is simply disgusted that the cause he believes in is being horribly traduced by bad science. By presenting cherrypicked science, at odds w/ NCA Vol,1 & IPCC AR5, the authors of NCA Vol.2 have given a big fat gift to anyone who wants to dismiss climate science and policy. People are not dumb. Clim chg is real & deserves policy response, but not like this. 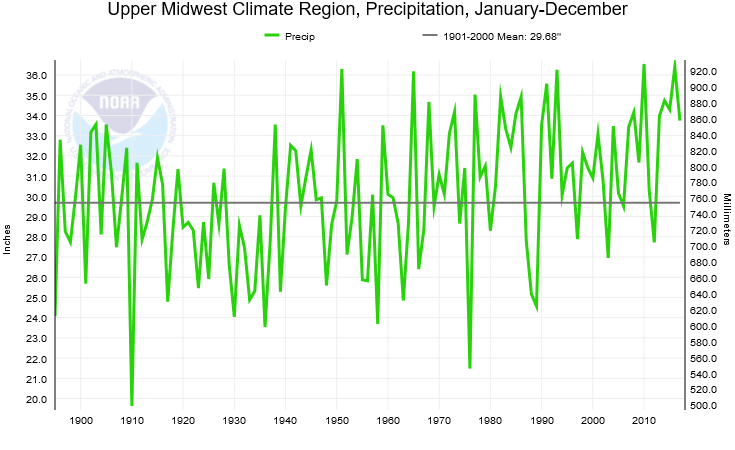 Side note: Research on which that 15 deg F temp change & 10% GDP hit (under RCP 8.5) was funded by Steyer & Bloomberg (ultimately published in Science). Imagine if research funded by Exxon was sole basis for claims. Given weaknesses of the work just fooling to lean on it so much. Pielke is referring to the headline figure, eagerly relayed by the left-wing media, that climate change is going to cause a 10 percent fall in GDP. PPS. I see people are starting to blame the media for the emphasis on the 10% GDP value. It looks to have been first promoted by @CoralMDavenport at NYT. Here is the NYT front page from Saturday, with NCA story top right. This story by @CoralDavenport set the subsequent narrative of the NCA around the 10% GDP number, perhaps the least supportable claim in the entire report. This, he explains, is based on an imaginary 15 degrees F temperature rise which exists nowhere in scientific literature. It is in fact twice the projection of even the most alarmist scenario. Meanwhile, Paul Homewood has been busily doing the homework the ‘scientists’ who compiled the report shouldn’t have done – and found the whole exercise to be deeply suspect. 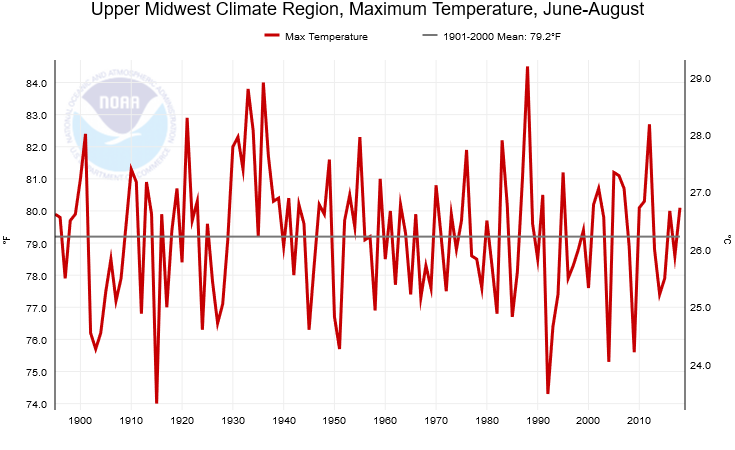 However, as even the NCA is forced to admit, summer temperatures in the Midwest have not been increasing. What they fail to point out is that temperatures have actually been falling instead. Even the scorching summer of 2012 was cool in comparison to earlier heatwaves. I suggest whoever wrote this drivel went out and talked to a few farmers, and ask them if they would instead like to return to the dustbowl years. To hear such common sense coming out of any political administration, let alone that of the most powerful nation in the world, is indeed extraordinary and refreshing. Clearly and simply it states what is probably the single greatest flaw in the alarmist literature: that their doomsday predictions aren’t derived from real-world observations – but simply on computer modelled projections. Garbage in. Garbage out. That’s the Climate Industrial Complex in a nutshell. How good to see that the White House has finally got its number.